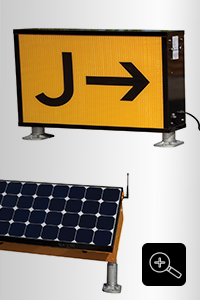 Carmanah solar LED airfield signs allow for increased safety on every corner of an airfield. Used to illuminate on-airfield signage and distance-to-go markers, solar powered signs increase airfield navigability and pilot comfort in night and low-visibility conditions. Carmanah solar LED airfield lighting provides reliable dusk-to-dawn illumination for critical signage, allowing for uncompromised safety when it’s needed most.